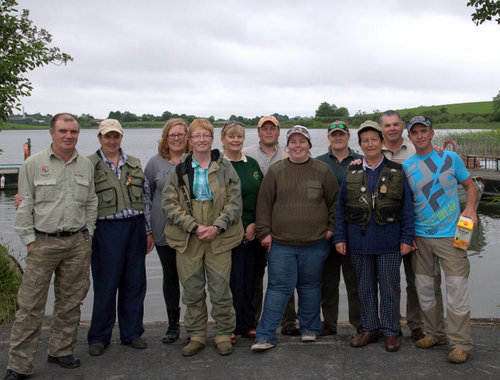 The third trial for the 2010 season was held on Eskragh Lough near Dungannon on Sunday 25th July 2010. With many of the women having over 100 miles to enjoy the views on the way to Eskragh that morning, they were relieved to see a nice ripple on the lake, light winds and overcast conditions – perfect fishing weather. Jenny Casey from Clane was drawn with Campbell Baird as her boatman and was quickly into fish in front of the reedbed near the lodge. 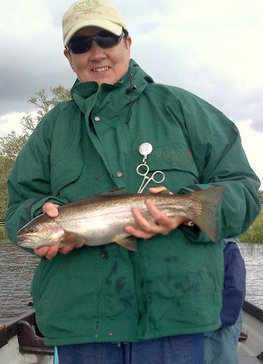 Jenny caught ten fish during the day, one of which was 61cms (about 6lbs) which had a beautiful full tail. She went on to catch 9 more, 3 on dry flies at the top of the lake. Fish are stocked at 1lb and grow on naturally. 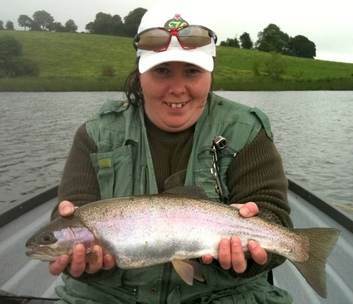 Orla Walsh from Newtown Cloghans also had a great day and caught ten fish. Her boat partner Jean Johnston caught a beautiful 51cm fish (about 5 lbs) on a Montana recommended by Fred. Sorcha and Margaret were drawn together and between them had 11 fish, They certainly kept Brian Kerr their boatman busy. Here is one caught by them the previous week - again in fantastic condition. Julie Gerry and Susan Brown were drawn together with boatman Derek McConville and also caught 11 fish between them - it was a close competition at 6-5 to Julie! Top boatman was Joe Quinn from Ballina - his two anglers Jean and Orla caught 12 fish between them. Many congratulations Joe! The 7 ladies competing caught 44 fish during the day (and lost a fair few more) – a fantastic result which reflects well on Eskragh Lough – a superb venue with great 19ft boats. All fish were released unharmed to fight another day. 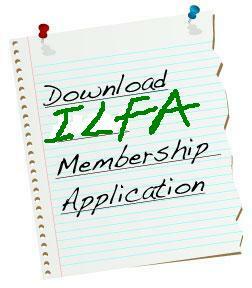 The ILFA wish to thank Donovan Ross and Fred at Eskragh Lough for their support staging this trial and the boatmen Campbell Baird, Joe Quinn, Derek McConville and Brian Kerr for their help during the day. The next trial will be in Kerry on either the first weekend in September or the first weekend in October. Trial organiser is Julie Gerry.